Announcing Beyond the Review: An Immersive Arts Journalism Intensive! We are excited to launch applications for the very first "Beyond the Review" Press Corps Intensive. The Beyond the Review Intensive is a deep-dive workshop into the craft of arts journalism. In this week-long immersive course, ten teens will work with professional arts journalists to learn how to interview artists, and write previews and features of art events. 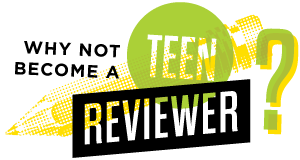 Teens will receive one-on-one mentorship on their writing, and, at the end of the program, their work will be published on the TeenTix blog! The best part of it all? This program is FREE! 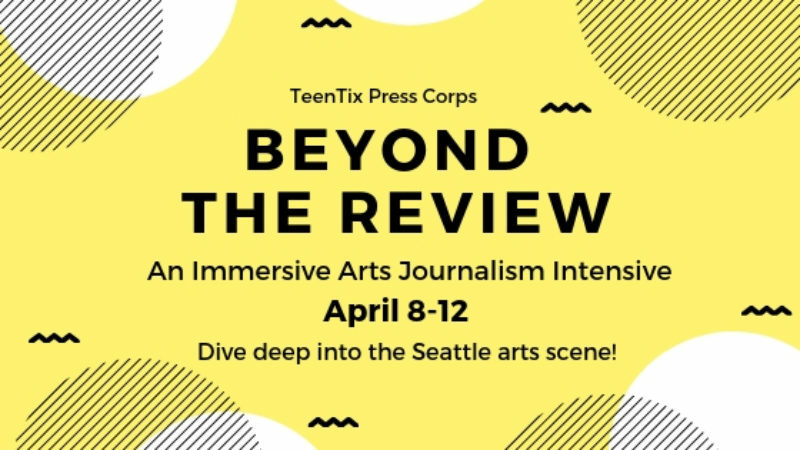 Applications for the Beyond the Review Press Corps Intensive are now open! This Intensive runs April 8 - 12 from 10 AM - 3 PM each day. Over the 5-day period students will spend the mornings learning about arts journalism from professional writers. In the afternoons they’ll visit TeenTix Arts Partners to get an inside look and hone their interviewing, and previewing skills. They’ll get to interview local artists and learn more about local arts organizations. Teens will also have time to work on their writing and receive feedback and individual mentorship by professional arts journalists. Fill out the application form. Please allow adequate time to complete your application and answer each question as thoroughly as possible. The Press Corps is interested in working with teens whose writing communicates their personality, and reflects time, effort, and thoughtfulness. Applications close Monday, March 4th. All applicants will be notified on Friday, March 15th. The program will kick-off with an orientation meeting on Sunday, April 7 from 10-11:30 AM at the TeenTix Office in the Seattle Center Armory. The workshop runs April 8-12, Monday-Friday, from 10AM-3PM each day. The daily schedule is below. *All events and classes, including the Orientation are mandatory. You must be able to attend all classes in order to participate in this Intensive. All Press Corps Intensives are taught by professional arts journalists. Teaching artists provide individual editing feedback and mentorship so participants can hone and strengthen their writing and reviewing skills. Stay tuned for more info on our teaching artist lineup for Beyond the Review!